Black Rainbows frontman Gabriele Fiori announces to release the debut album for his acoustic folk project THE PILGRIM. 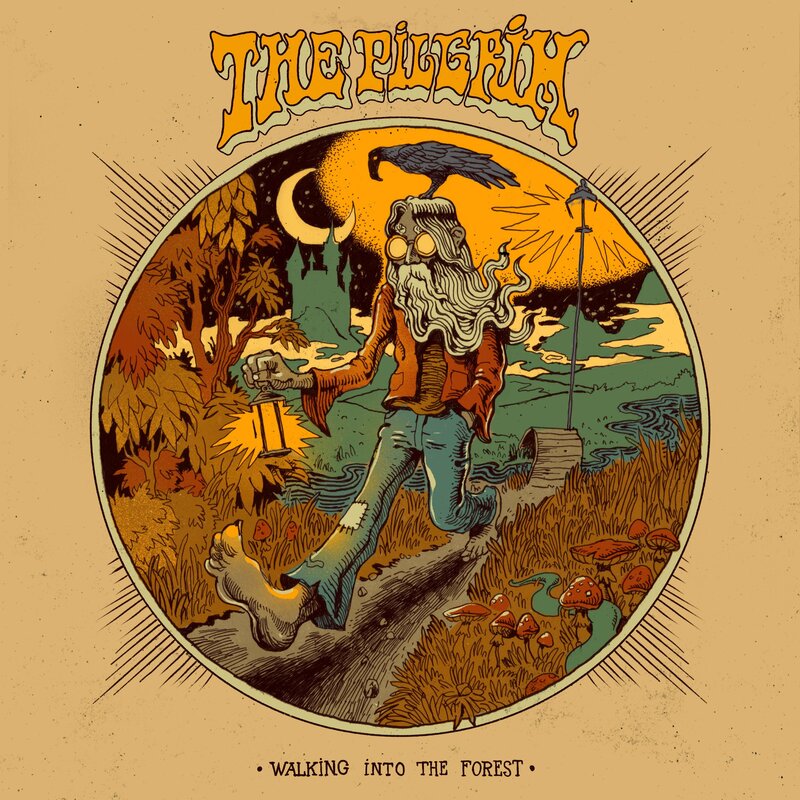 « Walking Into The Forest » comes out this April on HPS Records, with a first song being unveiled via The Obelisk and preorders going live today! Gabriele Fiori — frontman of Rome-based outfits Black Rainbows and Killer Boogie, and a key figure in Europe’s heavy underground as the founder of Heavy Psych Sounds label and booking agency — was not exactly lacking for things to do. And yet, a couple years back, THE PILGRIM started to nebulously take shape as an idea for a solo-project, something different than the hard-driving psychedelia and garage heavy rock for which he’d already been so revered. Recorded at Nero Studio in Rome on a fantastic 70’s SSL mixing console during the fall 2018, the mix and mastering took place at JD Studio by Pino Santamaria, the same engineer who mixed several Black Rainbows albums. Heavy psych trio MARS RED SKY to embark on a full European tour tomorrow! Doom/post-metal trio STONEBIRDS stream new album in full via Metal Injection; « Time » is out now on CD and digital. FREEDOM HAWK debut new tune « Radar » from upcoming album « Into Your Mind », due out June 23 on Small Stone. Desert rock legend BRANT BJORK signs to Heavy Psych Sounds for brand new album, back catalogue reissue and « Jakoozzi » long-awaited release!